About Us — Integrity Remodeling Inc. Integrity Remodeling is a high-quality remodeling team that adds beauty, function and value to homes in our community. We strive to build lasting relationships and improve the lifestyles of the families we are blessed to serve. At Integrity Remodeling, we do not take our name lightly. It is, essentially, our mission statement in a single word. In everything… integrity. Integrity in our professionalism, in the quality and creativity of construction and workmanship provided, in our relationships with the community, clients, subcontractors, fellow team members and their families, and at the core, integrity in our individual and collective character itself. Our team members get excited about partnering with our clients to turn their living space dreams into reality. From conception to completion, our core values of compassion, excellence, uncompromising honesty, and gratitude are woven deeply into all we do. 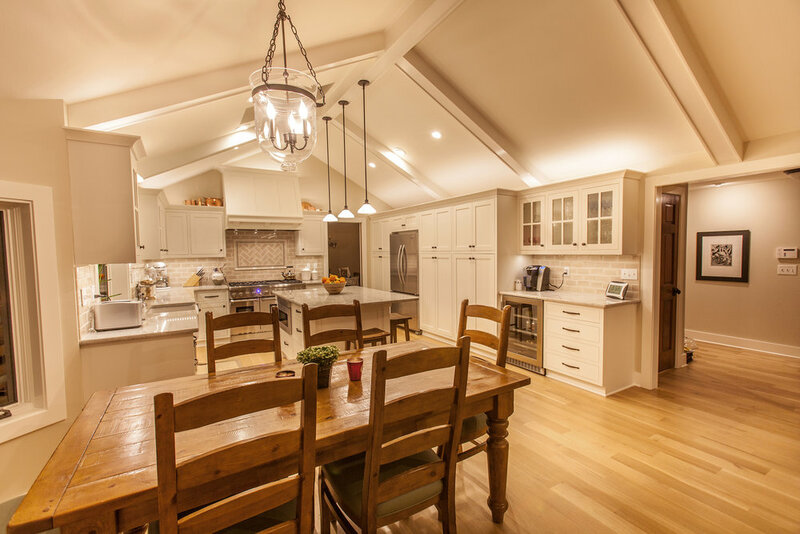 By simultaneously leading and serving through every step of the design and build process, our goal is to exceed the expectations of our discerning clients in each and every highly personalized project. We take great pride in our craftsmanship, attention to detail, cleanliness, reliability, flexibility, and of course, our integrity. Our clients and colleagues are fellow community members - people we look forward to saying hello to in the grocery store, and when we’re out with our families. Our goal is to create meaningful, lasting relationships through all of our interactions, and through hard work and commitment to our mission, we hope to enhance and enrich the quality of life for our team members and their families, our clients, and our community. We envision a place to work that is joyful and positive. Everyone is working hard to exceed client’s expectations, while keeping the best interest of the company and of their teammates in mind. Employees feel valued, appreciated, fairly compensated and treated, and in return, give their best each day and feel a sense of pride and satisfaction in their accomplishments, as well as feeling fortunate to work for Integrity. Integrity Remodeling is known in the marketplace, not only as an honorable, reliable, reputable and high-quality remodeling company (the best around! ), but also as a highly-coveted place to work in the Spokane construction/remodeling industry.